We are also opened in the summer! You can experience a lot in the summer in Tignes! 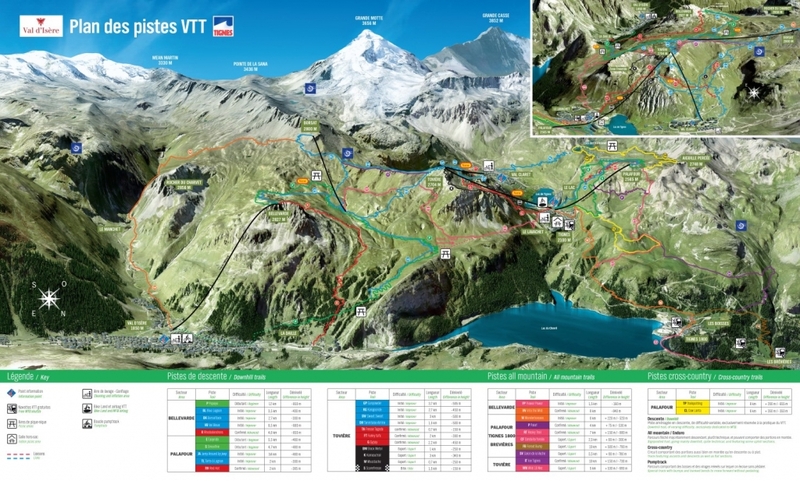 From 27 June til 30 August the lifts are open for free in Tignes and Val d’Isere de liften for mountain bikers. A free shuttle bus will bring you up to Tignes le Lac from Tignes les Brévières. The bike park exists of 150 km connected routes and are in the mountains of Tignes and Val d’Isere. Just like skiing there are for every type of mountain biker different routes. The green and blue ones are for beginning mountain bikers. The red and black ones are for mountain bikers who like challenges and extreme routes. The summer skiing in Tignes is opened from 27 June till 9 August. The funicular brings you up to 3000 meter, where 4 lifts and 20 km of pistes are opened. It’s also for skiers and snowboarders who like freestyle, because there’s a funpark! Off course is our ski rental opened in the summer. The highest golf course of Europe is in Tignes! This trail is extraordinary. 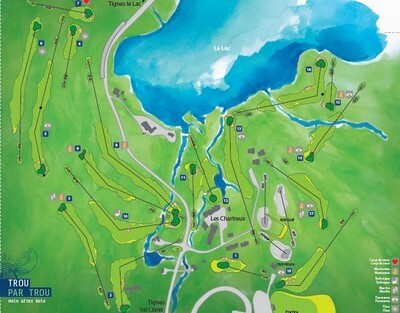 With 18 holes on a beautiful green of 5 km, which is on a great mountaintop, and natural obstacles, which were design by Philippe Valant, the golf course is a perfect place for golf beginners as golf pros. People who like hiking are in Tignes at the right place. They can enjoy of 55000 hectare of recreation in the wild nature. Half of the place Tignes is in the zone of the National Wildpark La Vanoise. This park is together with the Italian National Park (Gran Paradiso) the most outstretched and protected wildpark in West-Europe. You can spot a lot of wild animals in the wildpark, like marmots, chamois and ibexes. Next to this the nature is amazing, with wonderful views! We have all the information in the hotel needed for hiking, like height maps, all the routes and guides with every route for every kind of hiker.